This summer has seen dollars handed out at an alarming rate in the NBA. The league’s new television deal has seen role players become multi-millionaires while making some superstar players appearing to be underpaid. We’ve also seen franchise players change addresses in the hopes of winning an NBA Championship and/or more money. After 13 seasons with the Miami Heat, shooting guard Dwyane Wade left as a free agent to join the Chicago Bulls. Wade was seeking $50 million over the next two seasons from the Heat which he didn’t receive and thus he bolted to Chicago. Like Wade, Dallas Mavericks power forward Dirk Nowitzki opted out of his contract as he was seeking a pay increase. But unlike Wade, Nowitzki and the Mavericks agreed on a new two-year deal that is worth $50 million as this all but symbolizes that he’ll retire in Dallas. And it is a tale of how two NBA franchises approached their veterans players in different fashions. Nowitzki was drafted ninth overall by the Milwaukee Bucks in 1998, and they immediately traded him to the Mavericks. But in Dallas, Nowitzki has gone on to be a rock as he is the best player in Mavericks franchise history. In 18 years with the Mavs, Nowitzki has averaged 22 points per contest while helping Dallas win their only NBA Championship in 2011 as he was named the Finals MVP. Nowitzki is the Mavericks all-time leader in nearly every statistical category, and he is closing in on becoming the first and only player in franchise history to score 30,000 career points. 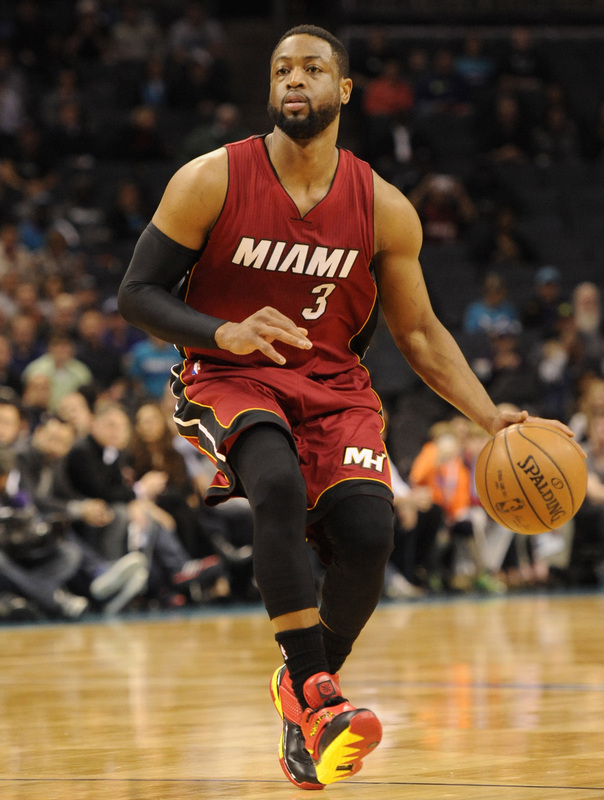 Wade was the fifth overall pick of the 2003 NBA Draft by the Heat and he would make an immediate impact as he averaged 16.2 points as a rookie in helping Miami reach the Eastern Conference Semifinals. In 2006, Wade would team with center Shaquille O’Neal to help the Heat win their first NBA Championship. Wade’s Heat knocked off Nowitzki’s Mavericks, and he would be named NBA Finals MVP that June. Like Nowitzki, Wade is the Heat’s all-time leader in most statistical categories and he has become a cultural icon in South Florida to the point that some people refer to Dade County as “Wade County”. In 2010, Wade took a backseat when the Heat signed small forward LeBron James and power forward Chris Bosh to make things work as he was all about winning championships. Like Bosh and James, Wade took less money in order to give the Heat cap flexibility to put a quality team around them which led to four consecutive appearances in the NBA Finals and a pair of championships. But unlike Nowitzki, Wade has had trouble staying healthy throughout his NBA career as he has never made all 82 regular season starts in the league’s calendar year. This issue was front and center last summer when Wade was seeking a new long-term deal from the Heat which he was never received. Wade who was 33-years of age at the time was unable to persuade Heat president Pat Riley to give him that long-term deal and the two sides came to an agreement on a one-year deal for $20 million. But this past NBA season it was vintage Wade as he averaged 19 points per game in leading the Heat to the Eastern Conference Semifinals. However when it came time for both sides to talk turkey, Riley simply didn’t see Wade as still being a superstar caliber player which led a disgruntled Wade to taking his talents to the Windy City. Just like Wade, Nowitzki took less money in order to make things work in Dallas which is what led to an NBA Championship in 2011. Nowitzki has continued to take contracts that were under his market value until now. And unlike Riley in Miami, Mavericks owner Mark Cuban didn’t have a problem in backing up the Brinks truck to pay the best player in his franchise’s history in order for him to remain in Dallas. This is just another example of the business of professional sports and how two franchises chose to operate differently. Riley was reluctant to pay an aging player superstar money as he felt that he was no longer worth it. But Riley called Wade’s bluff when he was unwilling to offer the shooting guard more than $40 million over the next two years. Wade didn’t get the $50 million that he was seeking from the Bulls, but he received $47 million as Chicago simply made him feel wanted as Riley has publicly expressed regret over allowing Wade to leave South Beach. Riley was looking at the long term for the Heat, but in the short team Miami is not a better team without Wade as they will sorely miss his leadership. And Riley knew that he made a mistake as soon as Wade signed with the Bulls. Cuban on the other hand feels that he can still win a championship with Nowitzki if the right players are put around him while also making sure that the Future Hall of Famer retires in Dallas. 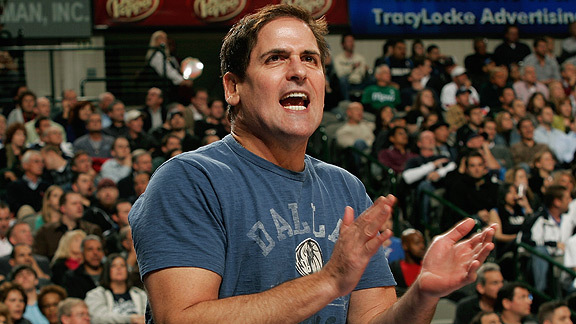 But it was Cuban’s commitment to Nowitzki that has shone brighter than anything else. Like Tim Duncan who just retired after playing 19 seasons with the San Antonio Spurs, Nowitzki has never publicly criticized the Mavericks when it came to money, and you have never heard of any animosity between him and the front office in Dallas which is the exact opposite of Wade and Riley in Miami. From Cuban’s first day as owner of the Mavericks, he has run a top-notch organization and he has treated his employees accordingly. For nearly two decades with the Heat, Riley has built the Heat into a contender, but two of the last three summers have seen him lose James and now Wade in free agency. Cuban didn’t have to weigh the pros and cons of re-signing Nowitzki as he did what was best for business, while Riley will always have to face speculation as to why he let the best player in Heat franchise history as well as on the current roster leave town scot free.